Universal City Walk Orlando has a tasty treat that you might miss if you're only going to Universal Studios or Islands of Adventures. 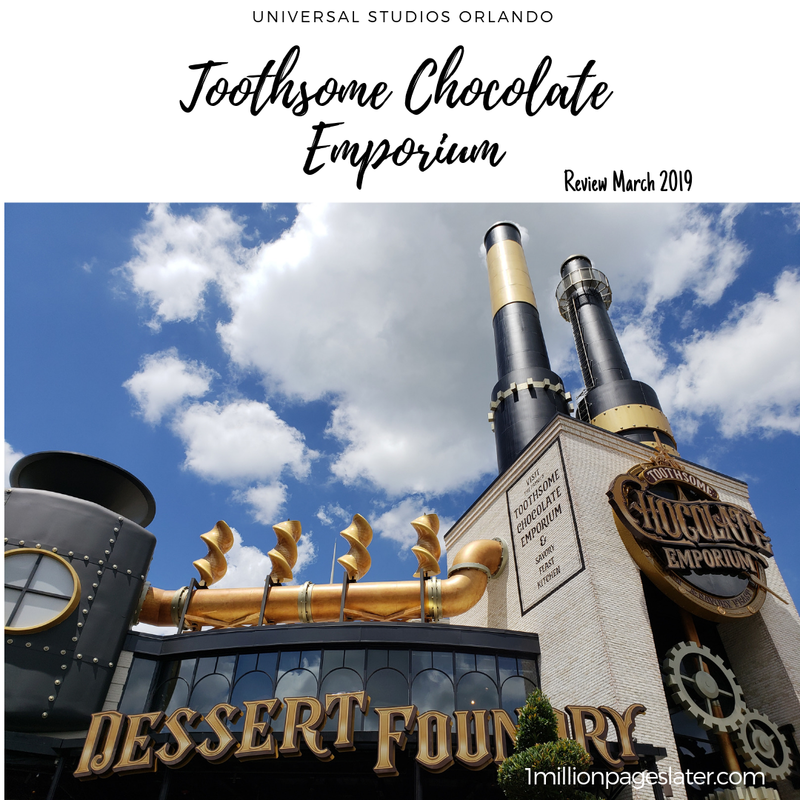 Check out my review of my dining experience at the Chocolate Emporium in Universal Studios Orlando. Universal Studios Orlando City Walk has a gem most people just walk by. 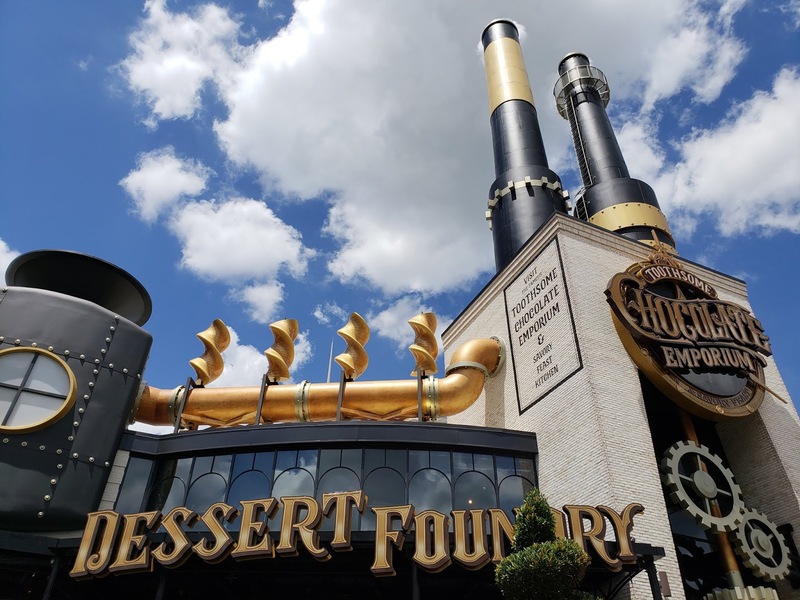 The Chocolate Emporium is a theme park all in its own. It's most definitely an experience. Not just an experience for your mouth but also for your other senses too. Everything is so pretty. And it smells AMAAAAAAAAZING. 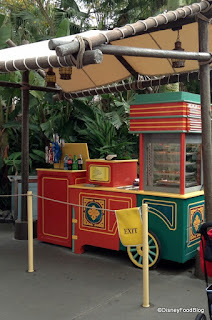 We originally tried to have dinner at the Chocolate Emporium on Saturday night. 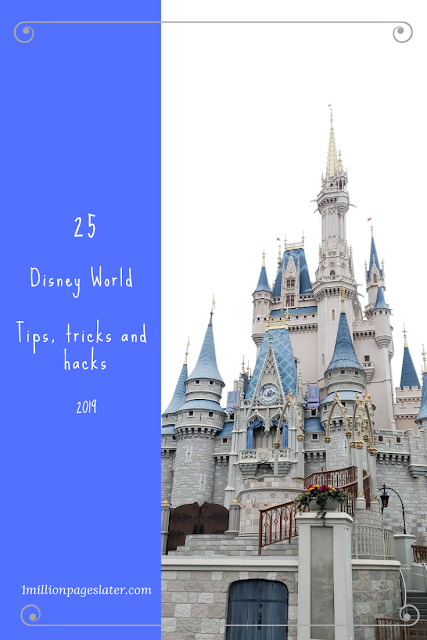 We stood in line to ask for a wait time. The wait time to be seated was 1 hour and 10 minutes. We were starving. On the verge of getting a hunger headache and we can feel that dreaded hangry monster lurking. That night we walked to The Hard Rock Cafe instead. I will write a blog post about that experience soon. The next morning, our hotel check out day, we had a fright as we over slept and we had to do a mad rush to pack, get dressed, and I had to put on light makeup as that was all I had time for. There was no time to do my hair, so it was a bun day for me. After the mad dash to check out, we wanted to try to eat at the Chocolate Emporium again. There was only a 15 minute wait time, a little longer wait time for us because we requested a booth. We love our booths. The longer wait time is usually always worth it for a booth. Booths are more comfortable with softer seats usually. I digress. The lobby, gift shop slash chocolate shop is filled with chocolate goodies, treats and merch. The time it takes to wait for your name to be called goes by quickly because there is so much to see. Once seated you are transported to an industrial looking area with metal, pipes and tv screens that show a working factory machine. They really take their theme serious. The menu is quite overwhelming. You open the menu book to read a quick story of the factory history, the owner a little about her past. It's fun. Then it's time for the sweets. They have milkshakes. No. Not those milk shakes. They have special, one of a time, instagram worthy milkshakes. There is no plain vanilla, strawberry or chocolate milkshake. You have a brownie milkshake (see picture), rice crispie milkshake (see picture), confetti cake milkshake, keylime pie milkshake and so many more. I wanted them all. No lie. I. wanted. them. all. But alas I had to pick one. I went for the rice crispie milkshake and the boyfriend had the brownie one. Wow. I can never have a McDonalds milkshake again. Too plain. Too blah. Too not a Chocolate Emporium Milkshake. So. Effing. Good. Wow. We ordered the crab and artichoke dip for an appetizer. It looked really small but it was the bottomless pit and so delicious! The dip had entire slices of artichoke and tiny pieces of crab (almost invisible). It had a really good flavor. I ordered the broccoli and cheese quiche with a broccoli and cheese soup. The boyfriend ordered the s'mores french toast. Unfortunately, the quiche took a really long time to come out and I was getting so full on the dip and the shake, I had them cancel the order and bring me a broccoli and cheese soup only. I'm definitely going back. I might try a cheeseburger next time with fries so I can dunk my fries in my shake (maybe the confetti pie or key lime pie milkshake). Let me rephrase. I cannot WAIT to go back.